On Nov. 14, 2004, as 6-year-old Alex Malarkey drove home with his father Kevin in rural Ohio, a left turn nearly took his life. As Kevin turned the car it collided with another vehicle, and the boy’s skull became completely detached from his spinal cord. But Alex did not die — and that’s the central fact behind a long-running controversy that has now led to a lawsuit. Two months after the crash, Alex emerged from a coma as a quadriplegic. The injured boy also began telling family and friends about traveling to heaven and meeting Jesus and Satan. 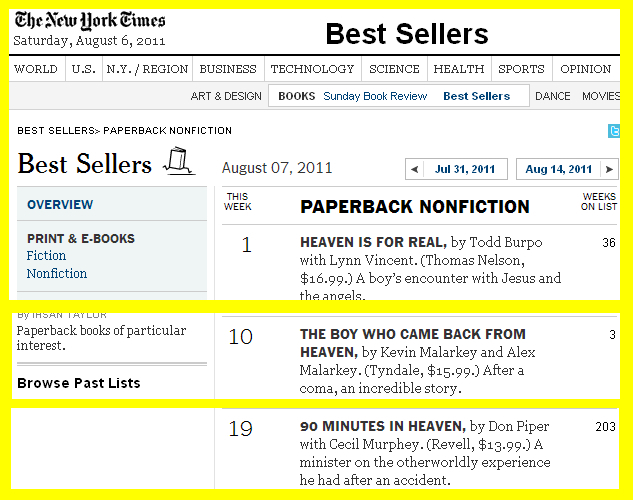 In July 2010, Kevin and Alex Malarkey penned an account of the boy’s religious experience, “The Boy Who Came Back From Heaven.” The book was published by Tyndale House, a publisher of Christian books. It went on to reportedly move more than 1 million copies and spent months on the New York Times bestseller’s list. The book was part of a bumper crop of similarly geared narratives — tales of near-death experiences and brushes with the Almighty published by religious imprints. Then it all fell apart. In January 2015, Alex, now paralyzed from the neck down, admitted he had fabricated the story. …Tyndale took the book out of print in 2015, after Malarkey admitted he made up the story of dying and going to heaven after the accident. “Now that he is an adult, Alex desires to have his name completely disassociated from the book and seeks a permanent injunction against Tyndale House requiring it to do everything within reason to disassociate his name from the book,” according to the complaint, which was covered in The Washington Post. Malarkey has sued on the grounds of defamation, financial exploitation, and publicity placing a person in a false light, saying that Tyndale went forward with initially publishing and promoting the book knowing his opposition. He states that he did not write any part of the book or consent to the use of his name as a coauthor and story subject. …Tyndale said in a statement issued this week that it no longer promotes the book or makes it available for sale, and that it has complied with the terms of the book contract. Clarification: Since the product recall, many mistook the story being recanted as belonging to the book Heaven is For Real by Todd Burpo (Thomas Nelson) since both are about kids. Bookstore sales staff continually need to emphatically set the record straight. Product which was available as of January 16th, 2015 before the recall. Image captured at Ingram/Spring Arbor. Four years ago a number of Christian websites, blogs and media outlets ran with a story about a research study at the — deep breath — the Center for the Study of Religion and American Culture at Indiana University–Purdue University Indianapolis; with the primary takeaway that the King James Version of the Bible is the most-read in the United States and therefore most-popular English Bible translation. My reaction when I read this, summarized at Christianity Today, was “What have these people been smoking?” Alas, the study was based in Indianapolis, not Colorado or Washington. But the study has to do with what version the survey group claimed to be reading. In a library, the book most-read might be the dictionary. Among our aforementioned motel guests, it might be a telephone directory. If they survey dentists’ offices, it might be nondescript magazines from 2007. None of these things turn up on the bestseller lists because nobody is interested in what people use for reference, people want to know what items in print are of significant interest that they cause people to part with their money to obtain them. Personally, I think time spent follows money spent. I think the sales data, which in most parts of the English-speaking world still supports the New International Version as the top English translation, is of greater interest. I also have a hard time believing that the majority of searches at BibleGateway.com have KJV set as their default. 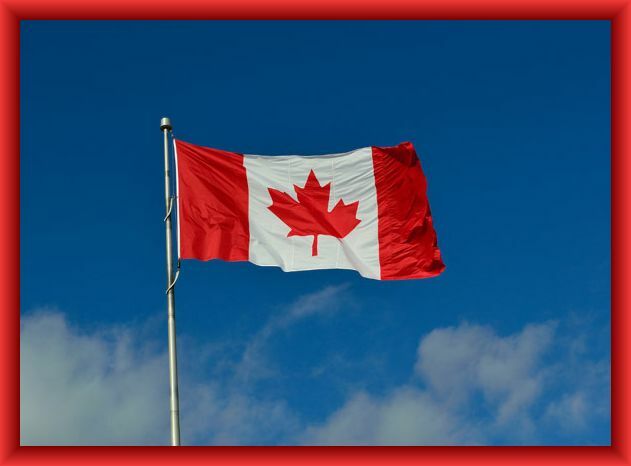 Has the KJV greatly influenced English and North American culture? Absolutely. We celebrated that in 2011, recognizing the 400th anniversary of the translation that has outlasted most others in the past two millennia. It’s often quoted and my own online searches often revert to KJV because that’s how I memorized the verses as a child. But it’s time to move on. Studies like this one — all 44 pages of it — only confuse the central issues. Furthermore, the study is biased in several places. 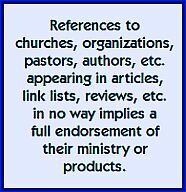 On the topic of where respondents find help and clarification in their Bible understanding, choices are clergy, commentaries, study groups, electronic media and the internet. I’m sorry, but my go-to resource if a passage is muddy is to use other translations. As one person taught me a long time ago, “Let the translators do the work for you.” That’s also the point behind parallel Bible editions and sites like BibleGateway, BibleHub, Biblios, etc. I also know from decades of anecdotal experiences with teaching people about Bible translations that many people simply don’t know the names of any of them, and if asked, will answer “King James” or worse, “Saint James” because that’s the only answer they can give. Furthermore, the study has been widely criticized for not allowing the New King James Version (NKJV) as an option. The surveyors also showed a rather glaring ignorance for their subject matter by referring to The Living Bible (sic) instead of the New Living Translation (NLT), the version that is currently number one in the bookstore market where I reside. Too many studies, surveys and statistical compilations are presented by people or groups who have predetermined the outcome they wish to see. There are two reasons why people do this. Some rally the troops by suggesting there is a common enemy we face in order to galvanize support for a particular ministry that can stem the tide and reverse the situation. Sadly, some Christian research firms do this in order to sell survey data. If it bleeds it leads. This is best seen in the tension between Barna Research’s David Kinnaman and sociologist Bradley Wright, the latter titling one of his books, The Sky is Not Falling. 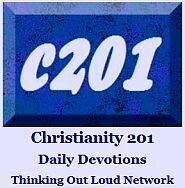 I should also say that I don’t fault Christianity Today for the confusion, especially since they write me a weekly paycheck for the Wednesday Link Lists. In the former case, they are simply reporting the study, and writer Sarah Eekhoff Zylstra possibly plays her hand by saying, in the 4th paragraph, “The numbers are surprising;” and then links to a 2011 CT story by — wait for it — Ed Stetzer reporting on the NIV’s dominance. In the latter case, Stetzer is simply being pastoral, warning the CT-readership flock that they can’t believe everything they read. Note to KJV-Only trolls: This is not the blog you’re looking for. Comments will be deleted. I was a bit of a record nerd. I could tell you all the business stuff about who was signed to what label and who distributed that label on six continents. Most people just listened to the songs. I was all, “Did you know Decca Records turned down the Beatles?” Most of my friends didn’t care. Then somewhere in the 1990s I transitioned from a music guy to a book guy and once again I brought my penchant for the minutiae with me. Working in the biz, as I was — and remain to this day — I was very conscious of which publishers had which authors under contract. It’s similar to the record industry — labels are called imprints — but there are some differences with the publishing industry. So a few years ago, I sat up and paid attention when the world’s major publishers were rushing to get a piece of the Christian book market. Zondervan and Nelson are part of HarperCollins. 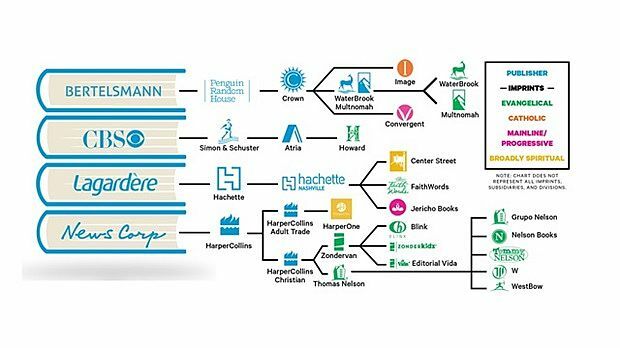 Waterbrook and Multnomah are part of Penguin Random House. Howard Books is a division of Simon & Schuster. FaithWords is the Christian imprint of Hachette Book Group. The idea was that this corporate ownership meant more opportunity for wider distribution, which is why you sometimes see your favorite Christian author in the gift shop at the airport. As a people committed to “go into all the world and proclaim the good news” Christians should be grateful for that opportunity, right. But when an author finds their way back home to a fully Christian-owned, independent publishing house like Baker Book Group, I also sit up and pay attention. Especially when that author is Ted Dekker. 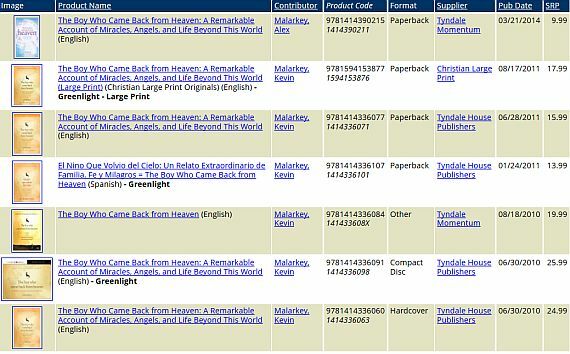 After several years with Center Street and Faithwords, both divisions of mega publishing company Hachette Book Group, the third largest trade and educational publisher in the world, Christian suspense author Ted Dekker is back with a Christian owned company, Revell Books. Indeed a look at the Revell and Bethany House catalog shows that Baker have continued to up their game in suspense publishing with a strong presence in the category including work by Dee Henderson, Dani Pettrey, Lynette Eason, Lisa Harris, Irene Hannon and more; as well as science fiction titles by Frank Peretti, Bill Myers, Alton Gansky, Angela Hunt, Thomas Locke and more. Executive Vice President of Sales and Marketing David Lewis, added, “We are very pleased to have reached an agreement to publish Ted Dekker’s novels. His many previous novels have thrilled, entertained and scared readers, who love his writing as do we. We look forward to continuing with his current fans and to finding new readers for his books. The 49th Mystic releases in May. We have a Christian parenting conference happening in our town in April. I couldn’t help but think how rare this is when compared to marriage conferences. Of course some of this has to do with what’s happening in Christian publishing. For example, name a marriage author. 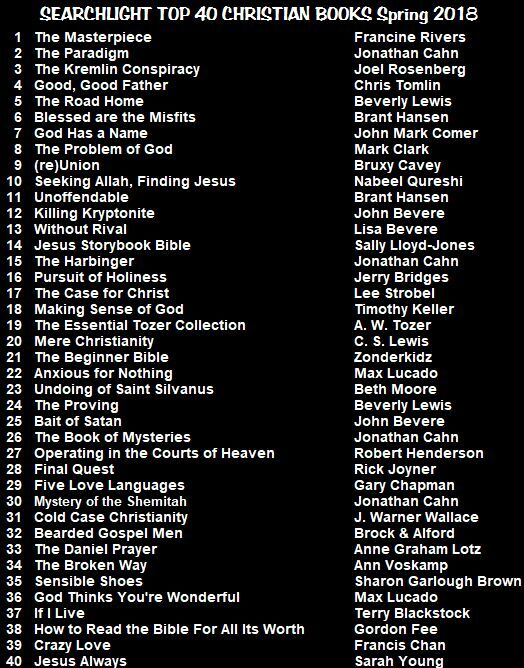 You might be able to do so readily, but for those not familiar with the world of Christian books, let’s make it easier: Name a bestselling Christian book on marriage. Now do the same for parenting. The books exist, but naming top sellers is more challenging. Furthermore in the case where the books are part of a brand or a series, you almost intuitively know that for all its success, Power of a Praying Parent probably doesn’t do as well as the wife/husband titles; or that Boundaries with Teens or Boundaries with Kids doesn’t do as well as Boundaries in Marriage or Boundaries in Dating; at least not in my experience in the field. The conferences feed off the success of the books. Apparently we’re at least five times — or maybe even as high as ten times — more willing to pour into our marriage than we are to invest in our kids. 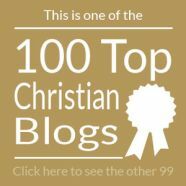 Perhaps we’ll purchase Christian resources for them, but we don’t necessarily want to take the time to improve our parenting skills or learn from the stories of others. 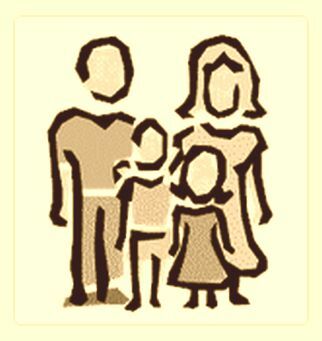 And just to save you asking, the conference speakers coming to our local community are Jim & Lynne Jackson, authors of Discipline That Connects With Your Child’s Heart. I hope people will want to invest in their kids to the same degree they might had the church chosen to host a marriage conference that weekend. I have faith they will. I realize that with the word discipline in the Jackson’s book title, some of you are probably thinking of a case of parenting advice gone bad that we covered here and here a few years back. Knowing the church sponsoring this, and knowing the publisher, you needn’t worry. Feel Like a Misfit at Church? You’re Not the Only One. At the start of the year, I reviewed Brant Hansen’s first book with Thomas Nelson, Unoffendable, which deals with the subject of anger, and is ideally suited to anyone who has ever ‘lost it’ over a particular person or circumstance. You can read that review at this link. 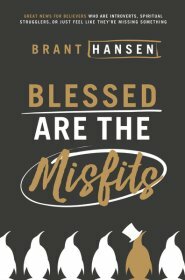 Brant Hansen‘s second book with Nelson is important enough that I’m eventually going to devote another column to it here, but wanted to make you aware of it prior to the November 28th release in case you’re making a Christmas list. 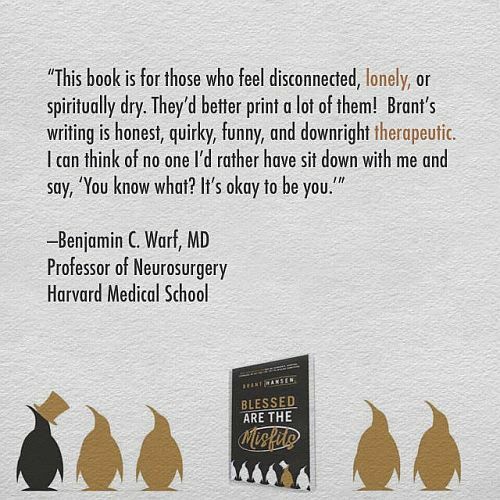 The title is Blessed Are the Misfits: Great News for Believers who are Introverts, Spiritual Strugglers, or Just Feel Like They’re Missing Something. and the people who love them because they’re a family member, close friend, co-worker, fellow-student, etc. It’s one of those books where the target readership is somewhat select — not to mention that it also deals with how such people can function in the body of Christ — so mention on blogs and social media and word-of-mouth will do much to help this book find its audience. I’m about 65% in at this point — thoroughly enjoying it — and will post a full review here when it’s closer to the release date as well as reasons why this book is important to our family.